Tacos al pastor (literally translated as “shepherd’s tacos”) is without question one of our favorite taco creations. 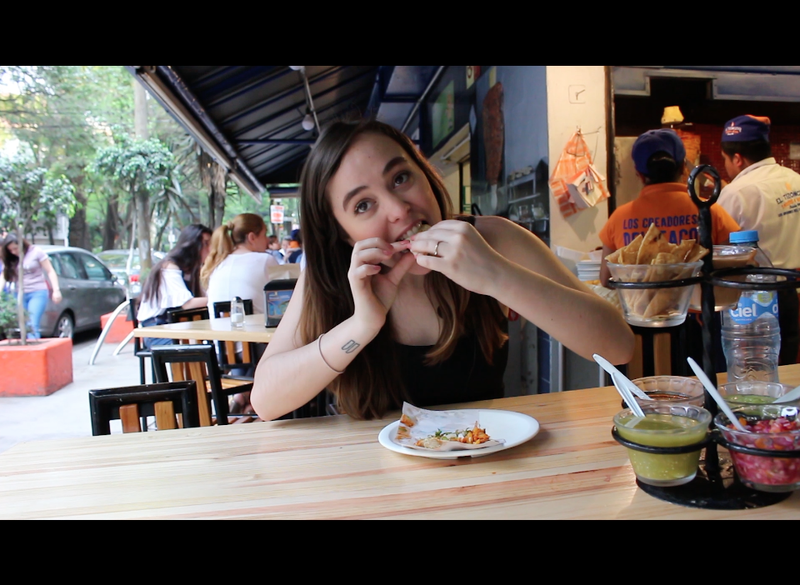 And we know there are hordes of tacoficionados who agree that al pastor is the king of tacos, so we thought we’d take a trip to Mexico City and visit the place that calls itself “The Birthplace of Tacos al Pastor.” We asked our crack reporter, Andrea Eraso, to undertake the thankless task of checking the place out. There’s Mexican food, and there’s Mexican food in Mexico City. Trust us, those two aren’t always the same thing. 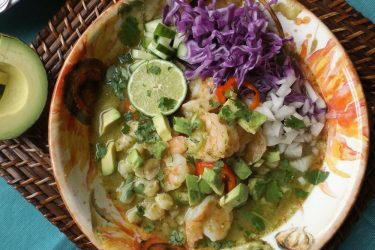 The D.F., as Mexico City is known, is a culinary wonderland of exotic flavors, ingredients and dishes. 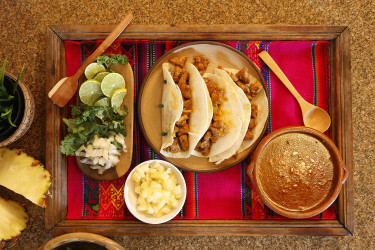 Many recipes have been handed down from the Aztecs, while others incorporate cultures and peoples who settled in the country at one time or another. Tacos al Pastor is a perfect example of the latter. It’s a bit of a mongrel that owes its deliciousness to the Spanish Conquistadores, Lebanese immigrants to Mexico and, of course, the locals who welcomed (or were forced to welcome) them both. Let’s break that down. The Spanish: The pork in Tacos al Pastor is thanks to the conquistadores, who bought pigs with them when they invaded the New World. Pigs didn’t exist in these lands before Columbus and his friends arrived. 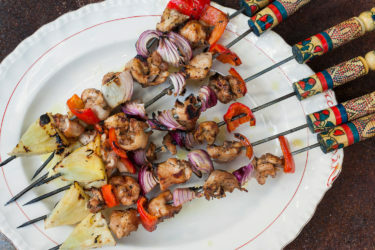 The Lebanese: Lebanese immigrants moved to Mexico City in the 1900s and introduced their technique of spit-roasting meat. Of course, they used this method to make lamb, which they wrapped in pita bread. (From this came another classic taco recipe: tacos árabes). The locals: The tortilla, chile, pineapple and other toppings and spices that are used to marinate the pork come from Mexico. The end result is one of the most iconic and popular tacos in the world. It’s a unique dish that’s sweet, spicy, tart and juicy all in one. And it’s spectacular. Just ask Andrea!